The question of the modern Italian novel remains an open debate, with a shifting canon of whose works are considered essential reading. We will start by reading the novels of four writers frequently considered the most important twentieth-century Italian novelists, Luigi Pirandello, Italo Svevo, Carlo Emilio Gadda, and Italo Calvino. While there is also number of men writers whose novels could be added to the list (for instance, Bassani, Passolini, Bontempelli, Pavese, Tabucchi, D’Annunzio, and Lampedusa), there is a similarly long list of women writers and the remainder of the course will consider these authors and the novel, including the issue of labeling them “women writers.” Continuing our investigations of genre, canon, twentieth-century movements, Italian history, and regional differences, we will read novels by Elsa Morante, Natalia Ginzburg, Grazia Deledda, Sibilla Aleramo, Dacia Mariani, Oriana Fallaci, and the debated case of Elena Ferrante. 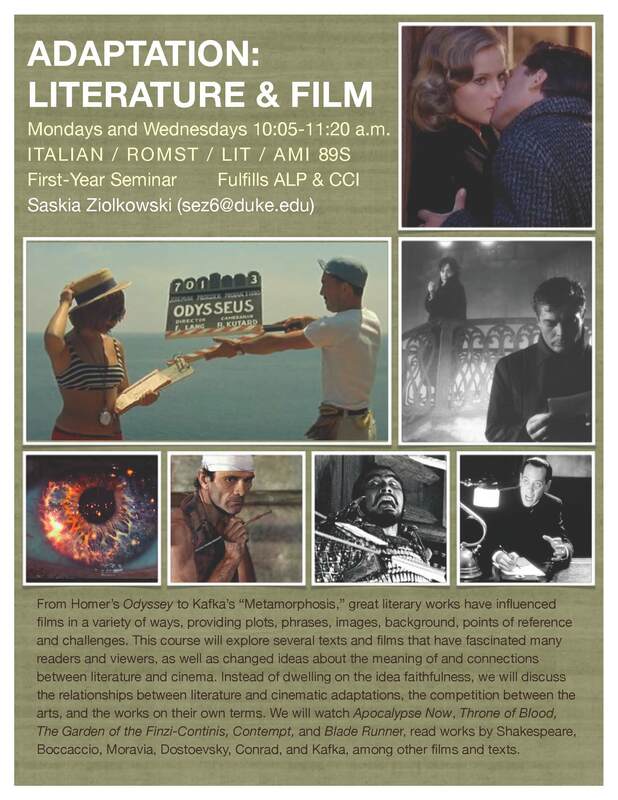 How do these works change the critical idea of the Italian novel? Is the relationship between Italian women writers and literary movements different from that between Italian men writers and movements? 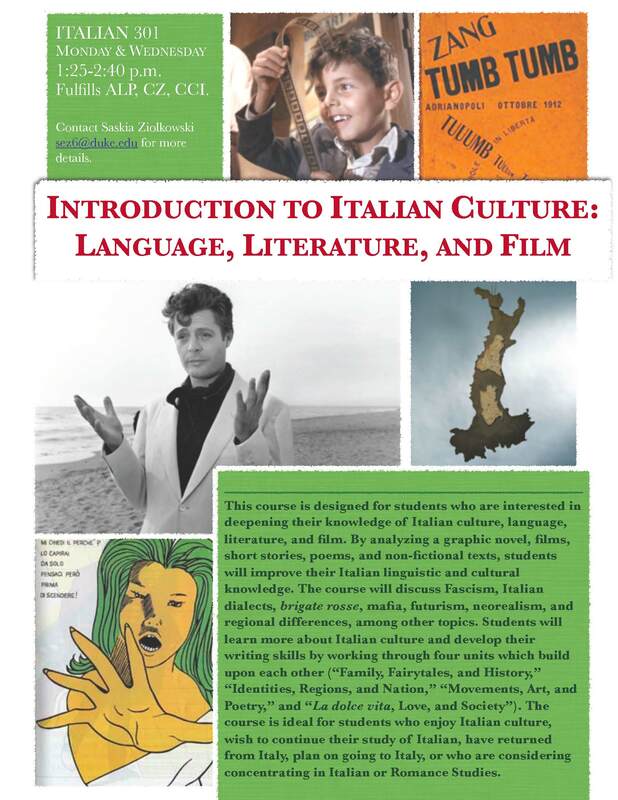 What categories are productive when discussing the Italian novel in the twentieth-century? What does it mean to discuss gender and the genre of the novel in an Italian context?